Michi’s Floral Company is all about flowers. That’s what we’ve been doing since 1989 and we’ve gotten really great at it. And what’s more, we love what we do. 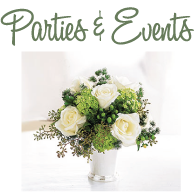 So you will always get the freshest flowers, inspired arrangements, and friendly service.